A Los Angeles City Council committee continued this week to explore a controversial proposal to replace Columbus Day with what would be called Indigenous Peoples Day. The meeting, a rare council evening event was a continuation of the Elections, Intergovernmental Relations and Neighborhoods Committee discussion on the topic, which last addressed the issue in December. “The City Council has the opportunity to eliminate any mention of Columbus Day in the administrative code and to join the growing movement across the nation declaring the second Monday in October as Indigenous Peoples Day in the city of Los Angeles,” said Councilman Mitch O'Farrell, who introduced the motion to establish Indigenous Peoples Day and is a member of the Wyandotte Native American tribe. “Christopher Columbus’ legacy of extreme violence, enslavement, and brutality is not in dispute. Nor is the suffering, destruction of cultures, and subjugation of Los Angeles’ original indigenous people, who were here thousands of years before anyone else,” he said. The proposal has proven to be controversial, as many Italian-Americans view Columbus Day as a celebration of their national heritage. Observing a holiday like Columbus Day currently costs the city about $2 million in overtime and more than $9 million in “soft” costs from reduced productivity, the report said. The report found a consensus among Los Angeles stakeholders for adding an Indigenous Peoples Day but sharp disagreement in how the creation of the holiday should be done and if it should replace Columbus Day. “I do think that they are two separate things and they’ve now unfairly been lumped into one, because when I come here and I stand here and say that I want Columbus Day to stay intact, I am looked at as if I don't want the indigenous people recognized. And on behalf of all the groups I represent, that is not the intent,” Ann Potenza, president of the Federated Italo-Americans of Southern California, told the committee in December. 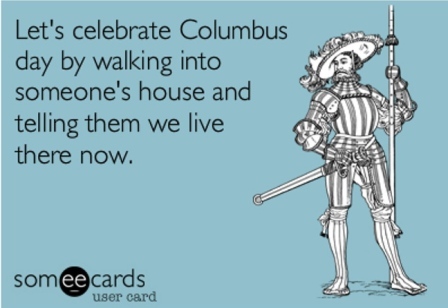 Los Angeles would not be the first city to replace Columbus Day, which is a federal holiday, with Indigenous Peoples Day. Nine cities in 2015 voted to do the same, and other cities like Seattle, Minneapolis, Berkeley and Santa Cruz have also done so previously, as have several states.